You are going to start modelling soon, but first you should get to know the viewports and and how to navigate in them. If you want to change the visible range or fov of the 3d view, right click in it and go to GXL Properties.In gxl properties screen, you can change the fov and visible depth using the sliders. Left mouse click pans the 2D views and rotates the camera in 3D view. 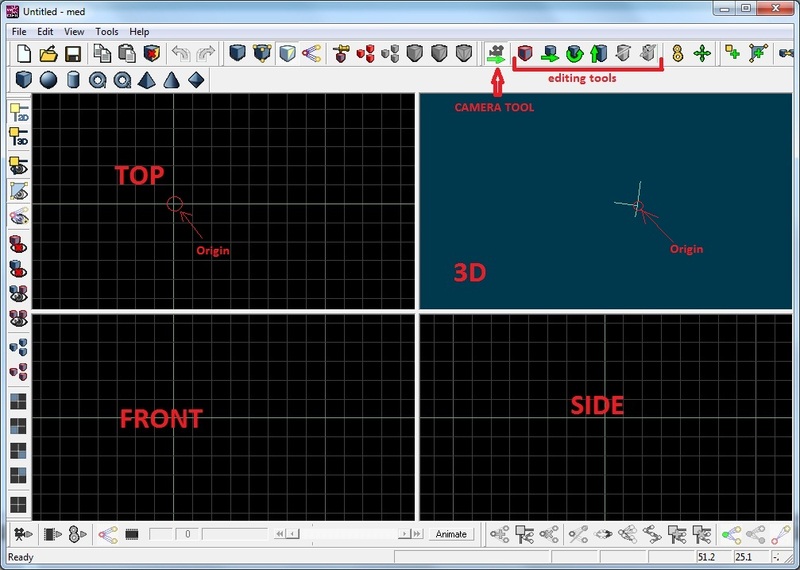 Right mouse click and the mouse wheel zooms in or out both in 2D and 3D views. Right mouse click mouse click pans the 2D views and rotates the 3D camera. Left mouse click draws a selection box in all views. Mouse wheel zooms in or out in all views. Pressing and holding Alt key temporarily switches to camera tool. Therefore controls for the camera gets activated. If you stop holding alt key it will switch back to your previously selected tool. So if you want to pan 2D views you have to press Alt key and click on the left mouse button at the same time.